On August 1, 2017, two suicide bombers entered a Shi'ite mosque named "Jadwadia" in Herat, Afghanistan during an evening prayer session. After throwing explosives into the crowd, one of the two men detonated his vest. The remaining attacker continued firing on the crowd before detonating his vest as well. The attack caused 33 casualties and left 66 people injured. No group has claimed responsibility for the attack. The attack came 2 days after an attack on an Iraqi embassy in Kabul. A week prior, a car bomb was detonated in Kabul, Afghanistan that left 24 people dead and 24 injured. At around 20:00 (UTC + 04:30), two men, one of them wearing a suicide vest and the other armed with a rifle, entered the mosque which was hosting more than 300 people at the time. They threw hand grenades and fired on the worshipers before one of the suicide bombers detonated his bomb. The other attacker continued firing into the crowd until he too detonated his bomb. Twenty-nine people were killed while 64 others were injured. "The mosque was badly damaged with windows blown out, walls and even the large dome peppered with shrapnel and everywhere was blood from the victims", said Hadid, an eyewitness. No groups have claimed responsibility for the attack. A spokesman for the Taliban, Qari Mohammad Yousuf, said the Taliban were not involved in this incident. ^ "Afghanistan : trente-trois morts et près de soixante-dix blessés dans un attentat antichiite à Hérat". Le Monde.fr (in French). Retrieved 2018-04-30. ^ "Iraq declear victory over Islamic State in Mosul". The Guardian. 31 July 2017. Retrieved 2 August 2017. ^ "At least 24 killed, 42 wounded in Kabul car bomb attack; Taliban claims responsibility". Hindustan Times. 24 July 2017. Retrieved 2 August 2017. ^ "Suicide bombers target Shia mosque in Herat city". Al Jazeera. 2 August 2017. Retrieved 2 August 2017. 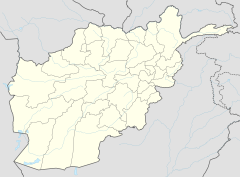 ^ "Suicide Attack On Shiite Mosque Leaves At Least 29 Dead In Afghanistan". nrp.org. 2 August 2017. Retrieved 2 August 2017. ^ "Herat mosque blast kills dozens in Afghanistan". BBC News. 2 August 2017. Retrieved 2 August 2017. ^ "At Least 29 Killed in Suicide Attack on a Shiite Mosque in Afghanistan, a Hospital Official Says". Time. 2 August 2017. Retrieved 2 August 2017. ^ Panela Constable (2 August 2017). "Suicide bomber kills 29, injures dozens at Shiite mosque in western Afghanistan". Washington Post. Retrieved 2 August 2017. This page was last edited on 20 July 2018, at 21:41 (UTC).